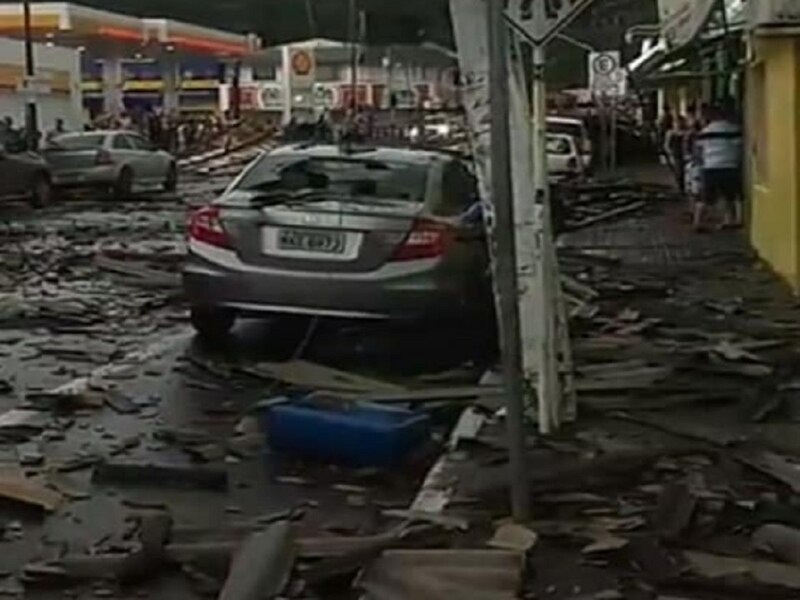 A strong storm with heavy rain and powerful winds swept across Brusque and Sao Francisco do Sul, situated in the State of Santa Catarina, Brazil, damaging houses, uprooting trees and electrical poles. 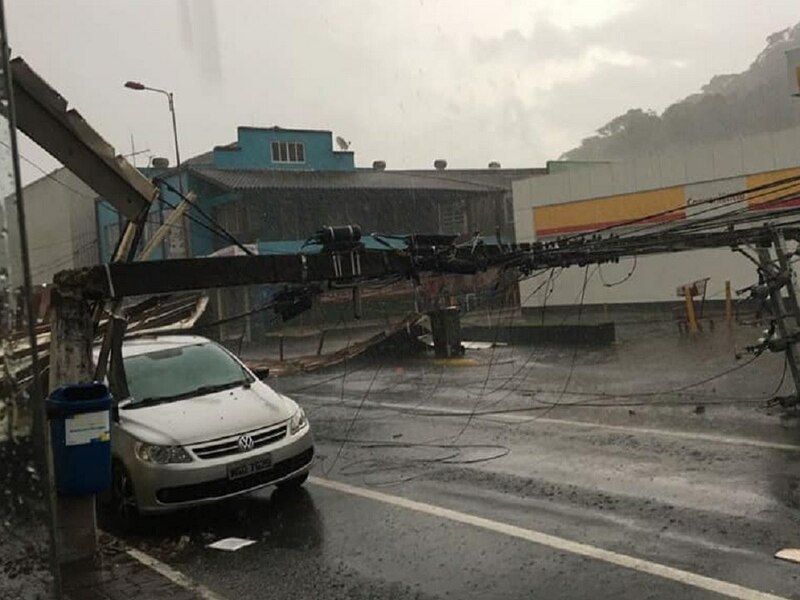 In downtown San Francisco del Sur, Barão do Rio Branco Street was blocked after gusts of wind tore tiles and demolished an electric power pole in the middle of the road. 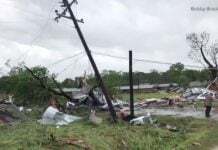 About 5,170 homes were without electricity at 7:30 p.m. in Sao Francisco do Sul and more than 160,000 across the State. 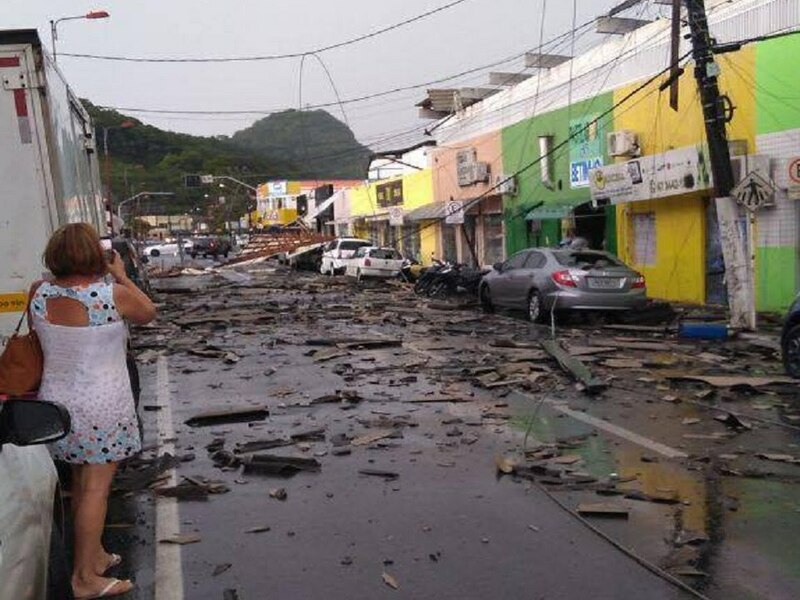 At this time, there are no injured. 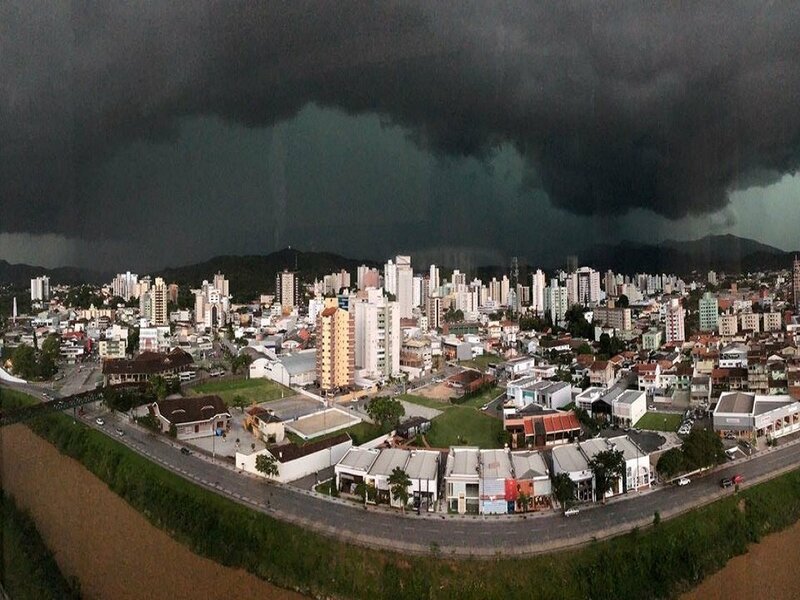 A dark cloud looming above the city of San Francisco do Sul in Santa Catarina in Brazil before being completely damaged on January 23, 2018. 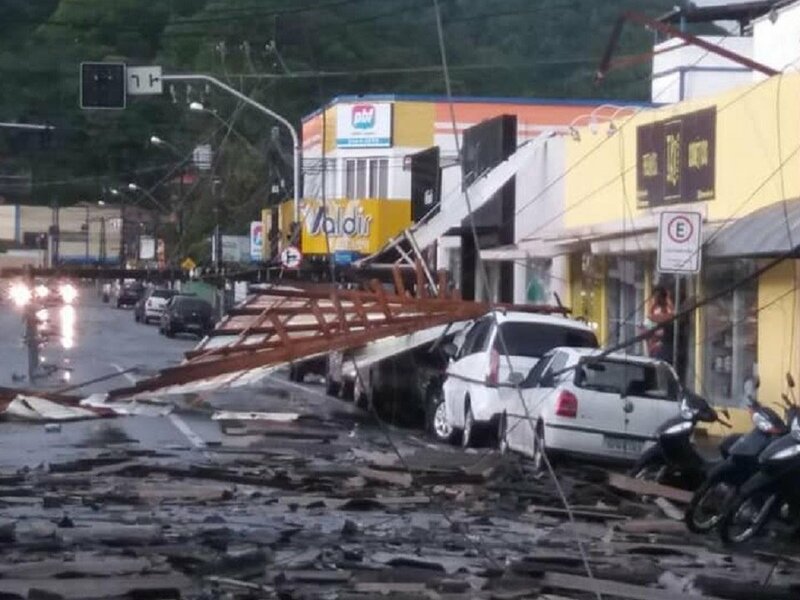 Damage in San Francisco do Sul, Brazil after powerful storm engulfs the city on January 23, 2018. 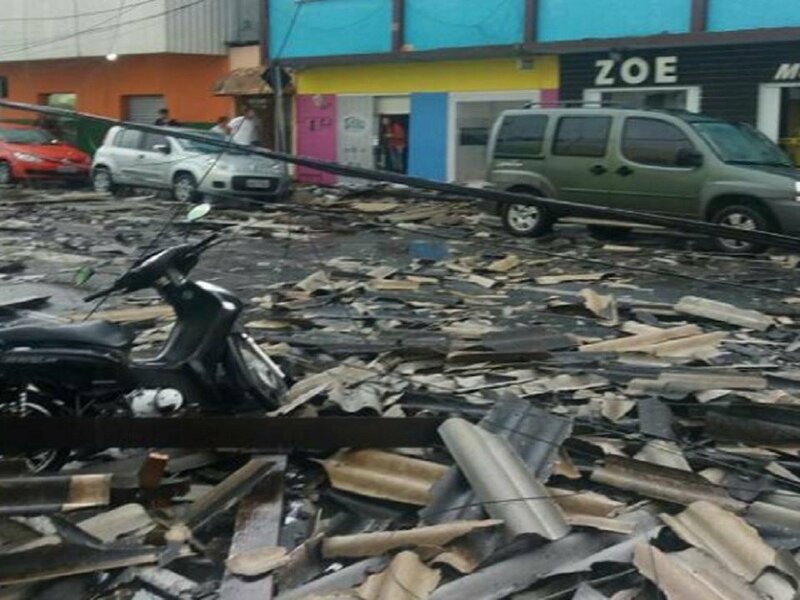 More intense rainfalls with 50 millimeters of rain in 12 hours were expected last night. 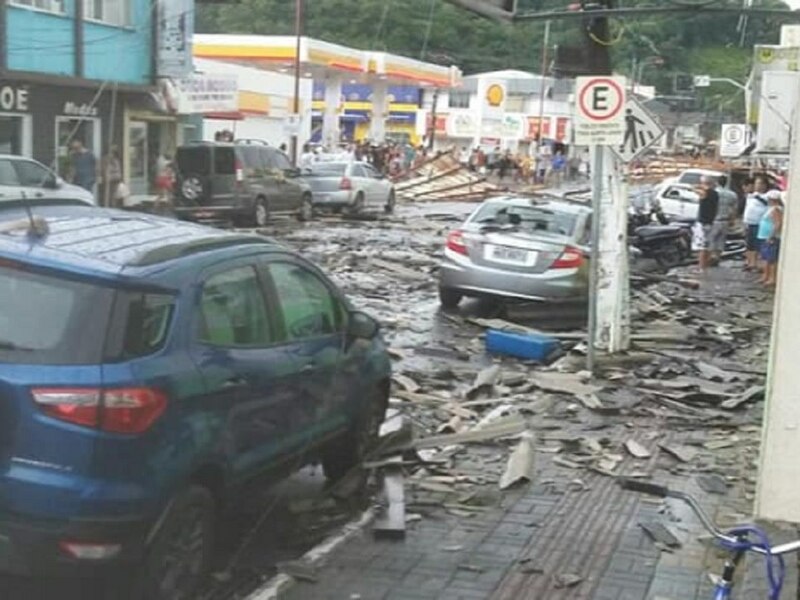 But I think it couldn’t get worse than in San Francisco do Sul or Brusque. Always be prepared! 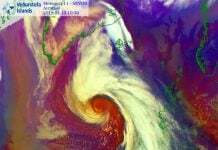 Have you seen Intellicast radar today? 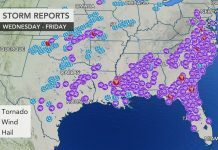 http://www.intellicast.com/Local/WxMap.aspx Click Layers, then Earthquakes & Wildfire detection, so that you can see those marks on the radar map. This morning, I was surprised that big earthquakes swarming around the coast of north California including M5.8 earthquake. More surprising is that there are many wildfire marks beside those swarms of earthquakes. Yes, in the middle of sea, there are many wildfire marks! My guess is that Reptilian (=Shadow Alien Government = Deep State) SECRET UNDER SEA BASES had been attacked by Galactic Forces.